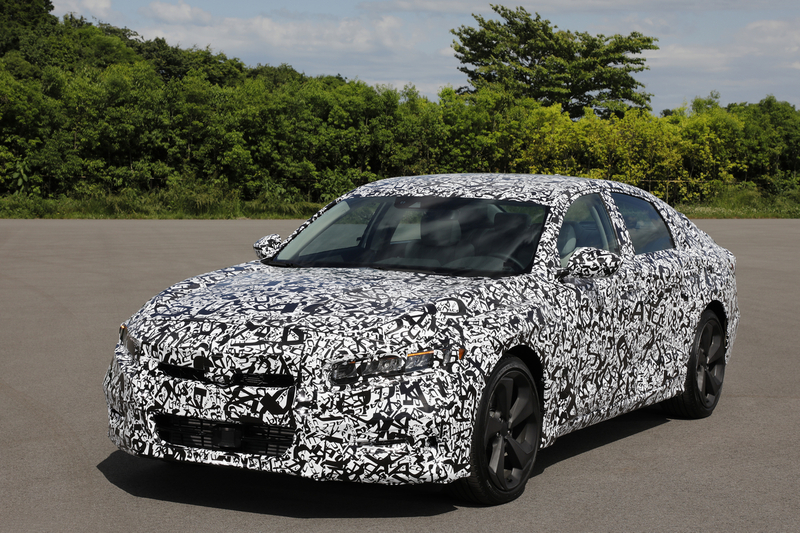 U.S. market to get the all-new Honda Accord this fall. Honda has announced that it will unveil the 2018 Honda Accord in Detroit on 14 July 2017. With the announcement, the company has dropped the first teaser image of the car. The teaser shows that the 2018 Honda Accord has full-LED headlamps with integrated LED signature lights, marker lights and LED fog lights. The 2018 Honda Accord's concept sketch indicates that the design is an amalgamation of elegant proportions and sporty styling. Honda describes the new Accord as 'dramatically-styled'. After taking it from critics for years that the mid-size sedan is conservative, Honda has finally taken a leap by giving it a longer, wider and lower body with a sleek glasshouse and a fastback roofline. The teaser confirms the presence of full-LED headlamps with integrated marker lights and LED fog lights. Honda will offer the 2018 Honda Accord with a 1.5-litre turbocharged four-cylinder petrol engine and a 2.0-litre turbocharged four-cylinder petrol engine. Both engine models will have a 6-speed manual transmission as standard, and a CVT (1.5-litre petrol)/10-speed automatic transmission (2.0-litre petrol) option. The Honda Accord Hybrid will continue as the electrified variant in the range right from the beginning, powered by the company's next-gen two-motor hybrid system. The 2018 Honda Accord will be presented in 1.5-litre petrol, 2.0-litre petrol and 2.0-litre petrol-electric (hybrid) models. The tenth generation Honda Accord will hit the U.S. market first, in fall 2017, followed by the international markets. Honda Cars India sells the Accord only in the hybrid variant for a premium price of INR 37.22 lakh (ex-showroom Delhi) with sales lingering in single digits. At least we know that with hybrid cars set to get taxed at the highest rate (43%) with the GST effective next month, Honda will see no incentive in bringing down a hybrid variant again.